The Stylo 3 from LG is for people who may want a stylus with a big-screened phone on the cheap. This handset mimics many features of Samsung's Galaxy Note series at half the cost, which is why it's available from the likes of Boost Mobile. The Stylo 3 carries over many of the features that made its predecessors successful while making appreciable improvements along the way. 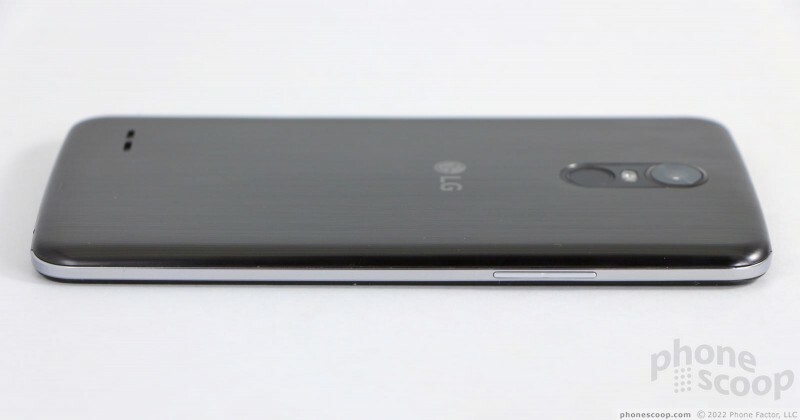 LG kept the Stylo 3's design rather conservative. It's a big slab — mostly black — made from a combination of glass and plastic. The side edges are formed by two chrome-colored plastic strips. I wish the chrome strips extended across the top and bottom edges to give the phone a more cohesive look. The front is glass, the back is plastic. The phone's 5.7-inch display mandates a rather big footprint, which means the Stylo 3 is tall and wide. Aside from being slightly heavier, the Stylo 3 is essentially the same in terms of size and usability as last year's Stylo 2. It's a two-handed phone. Of course, using the stylus necessitates two hands unless you place the phone on a desk or table. The phone is slim enough that you can fit it into most pockets, but you'll know it's there as you move around. 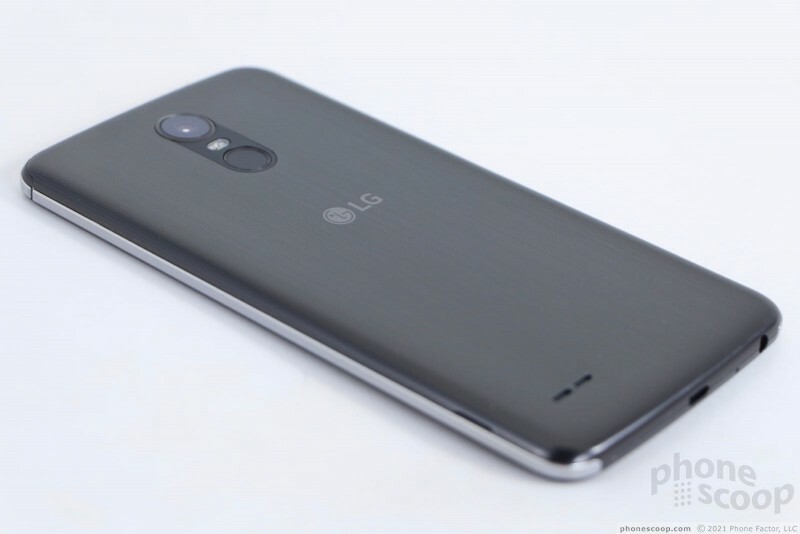 LG selected okay materials for the Stylo 3, though it's obviously no flagship. The glass covering the display feels good, but the plastic along the side edges and rear surface are not the best. The phone comes across like the mid-range handset it is. 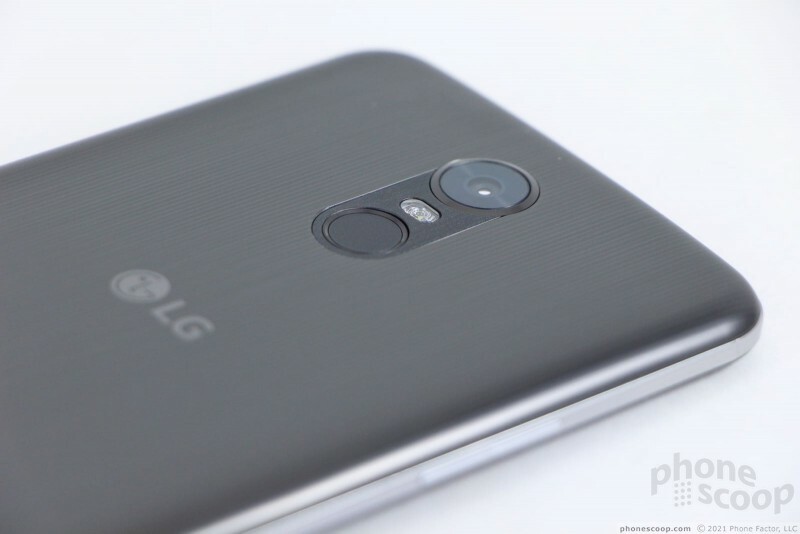 LG did a fine job assembling the phone. The seams are tight all around and I didn't see any gaps between the various parts, panels, and pieces. 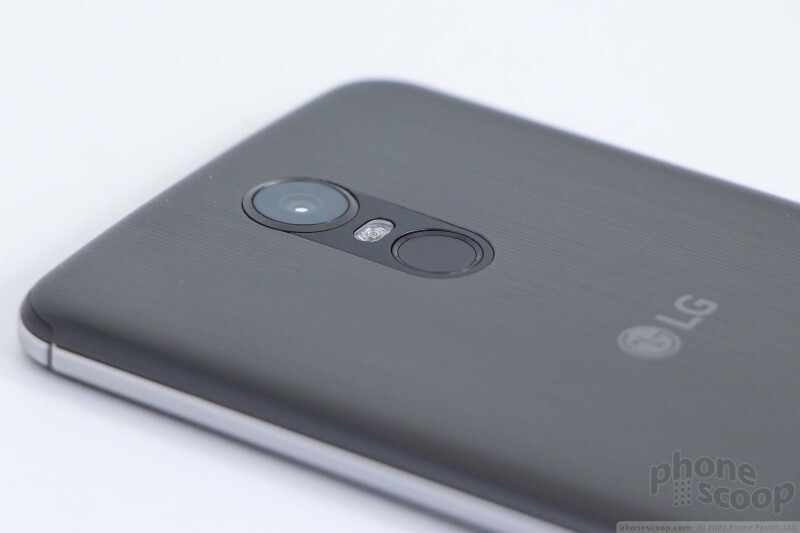 A massive piece of glass forms the Stylo 3's face. Because it's black, few of the functional elements stand out. 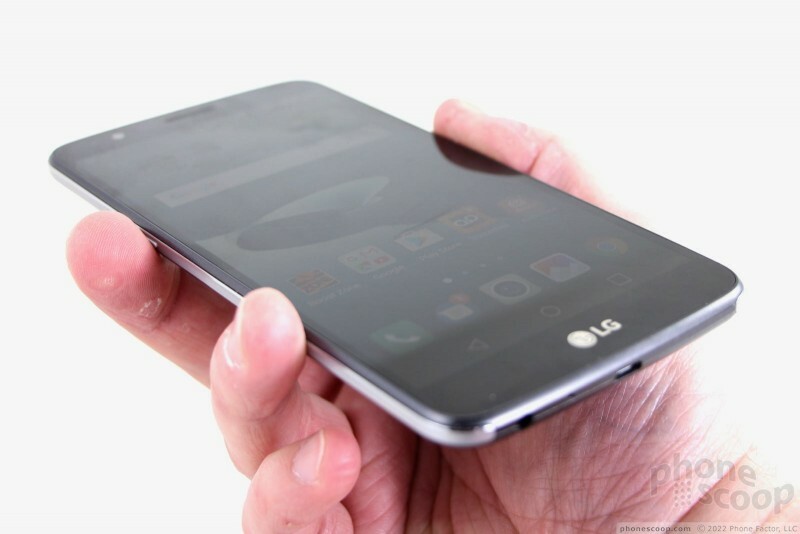 As per the norm for LG handsets, the logo is painted in chrome below the screen. 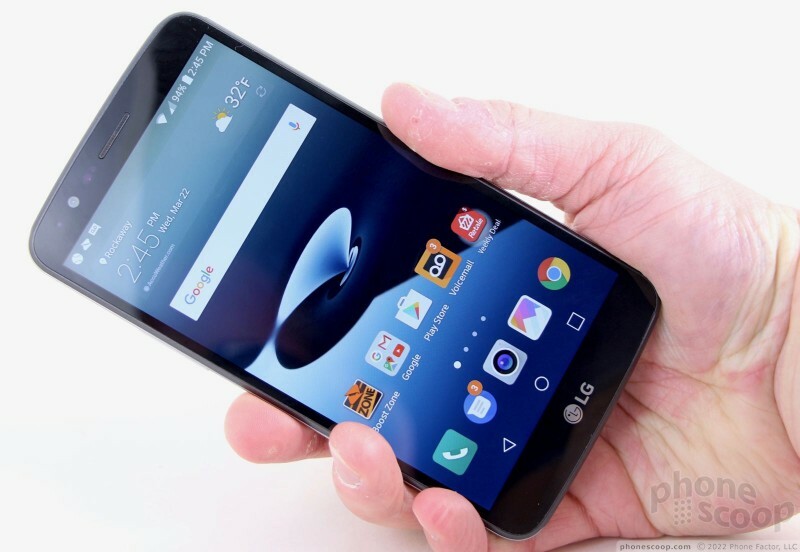 There are no buttons, as LG prefers on-screen controls for the Android operating system. 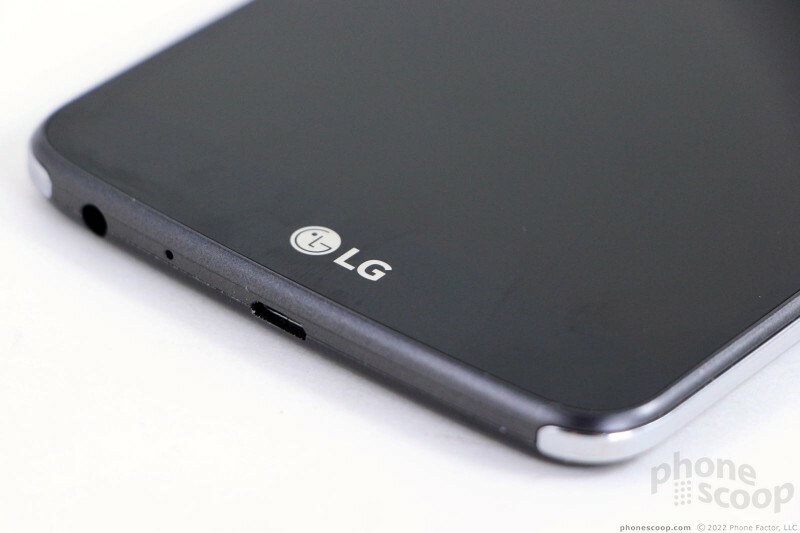 LG moved the volume toggle from the back panel to the left edge. The company continues to shift away from the rear-mounted controls it used on phones for several years, and the Stylo 3 is the latest to make that change. The toggle is a very thin strip of plastic and I found it cheap and unsatisfying in terms of feel and action. It works, but the feel is decidedly below-average. 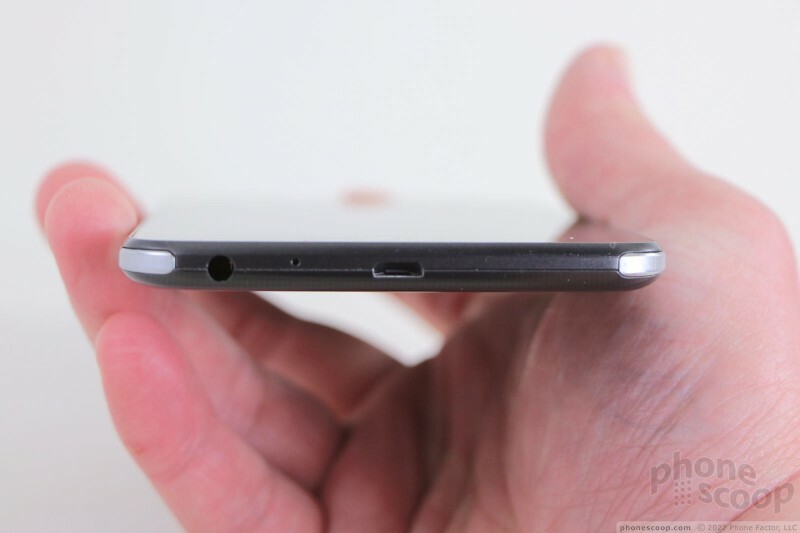 You'll find the microUSB port and the 3.5mm headphone jack on the bottom. 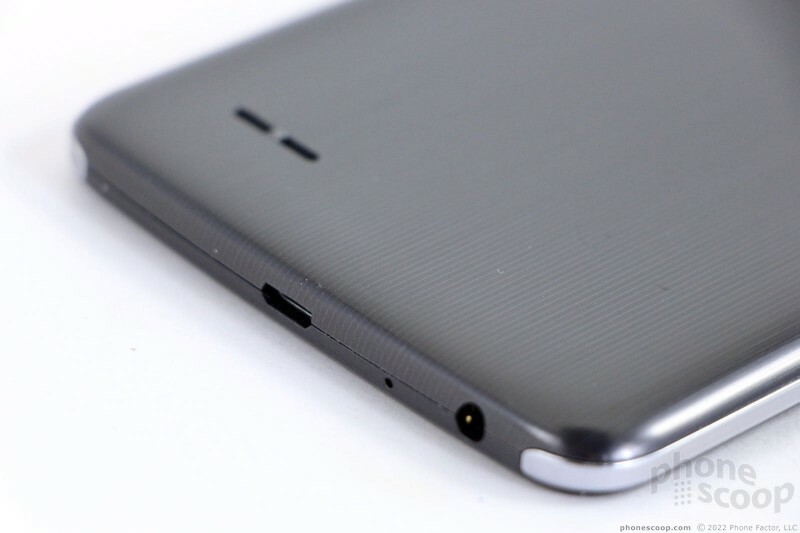 The stylus forms the upper right corner of the Stylo 3's outer edge. 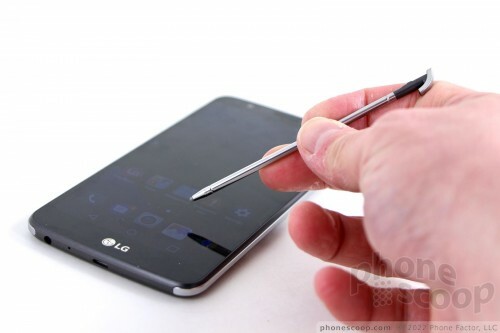 A thin notch allows your thumbnail to find the stylus and extract it. It slips out quite easily once you've cleared it of the small catch. The phone's software is smart enough to know when you've removed or replaced the stylus. 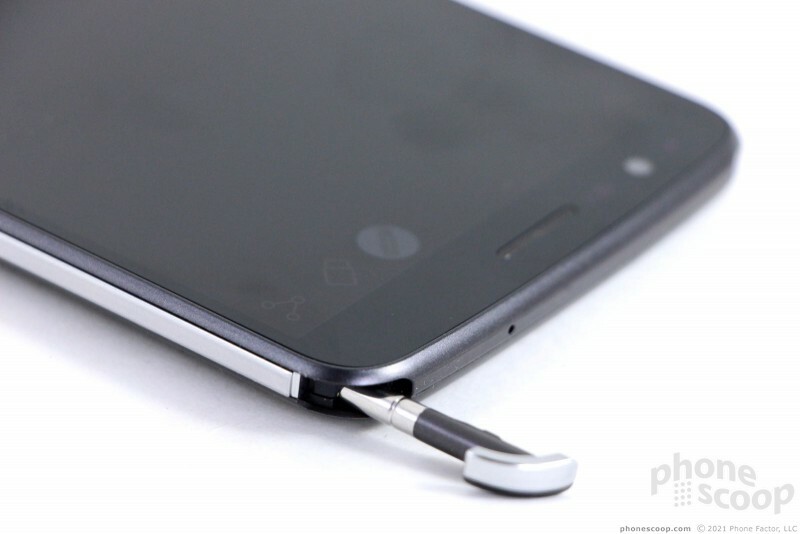 The phone vibrates every time you pull the stylus out, a feature designed to help prevent you from losing it. 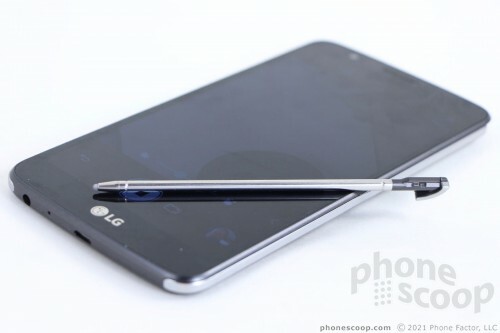 The stylus is 4.15 inches long and mostly a round metal stick. I found it easy to hold and use. The length helps a lot, as styli that are shorter than about 3.5 inches are just too small. Most importantly, it interacts with the screen perfectly. I like the faux brushed metal look of the rear panel. It spruces up the phone's appearance a bit — when it's not covered in finger oil. 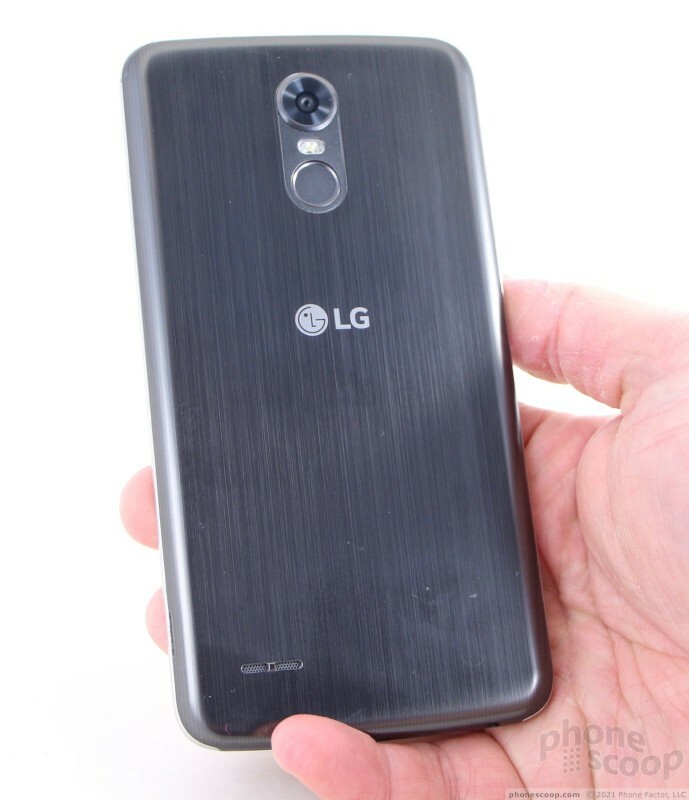 Seriously, LG should have given the plastic an oleophobic coating because it gets grimy and gross right quick. 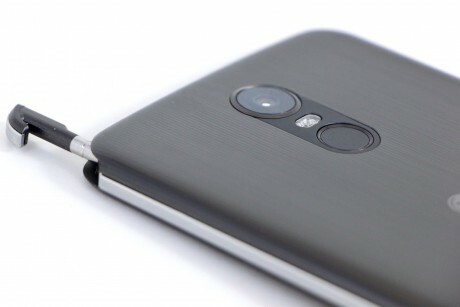 The camera module and screen lock button are packaged together in a long oval near the top of the Stylo 3's rear panel. The camera has a large round lens that protrudes a bit. An LED flash is tucked in between the camera and the screen lock button. The lock button itself is indented a bit, which makes it easy to find by feel. The button doubles as a fingerprint reader, which is a nice upgrade from the Stylo 2. 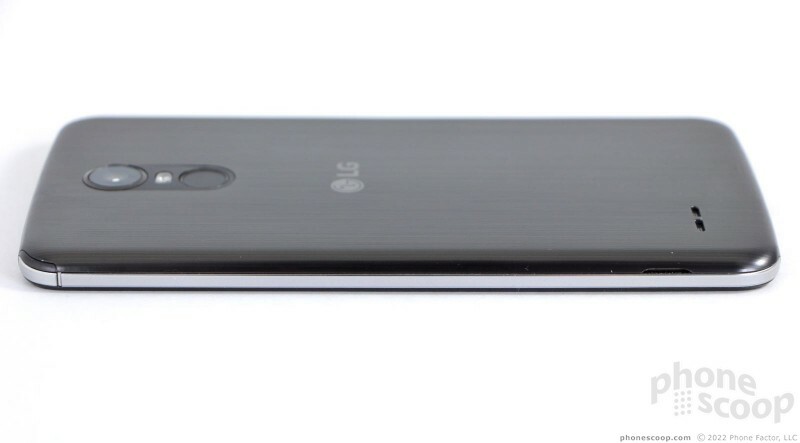 LG knows some people still care about removable batteries, and so the Stylo 3 has a removable rear cover and removable battery. 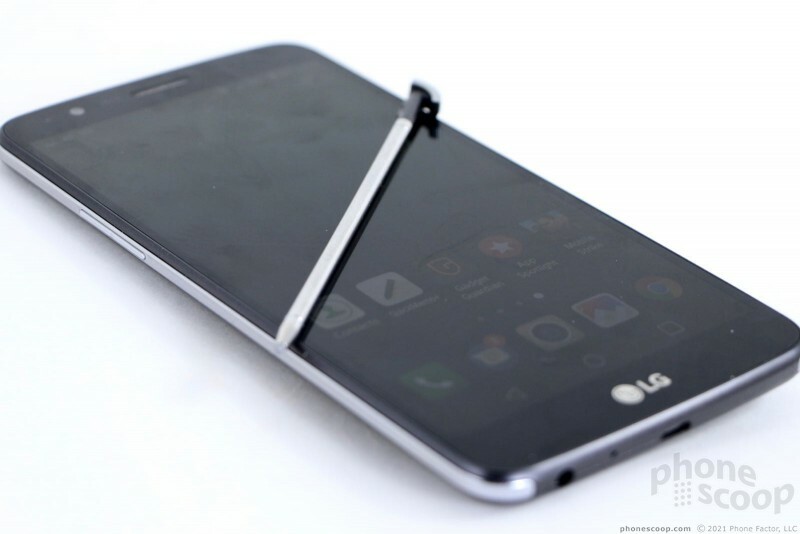 A notch on the left edge of the phone gives your fingernail the leverage it needs to pry off the plastic. 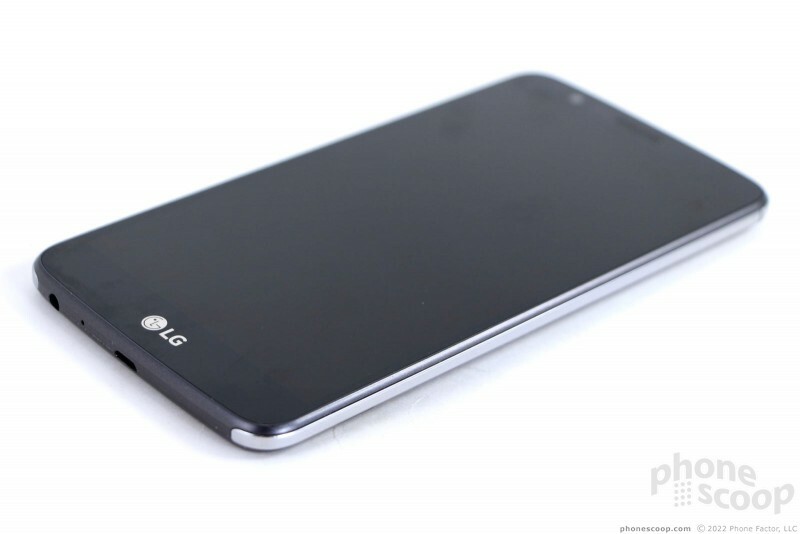 The plastic panel harkens back to the LG of old, meaning it's thin and doesn't inspire much confidence. 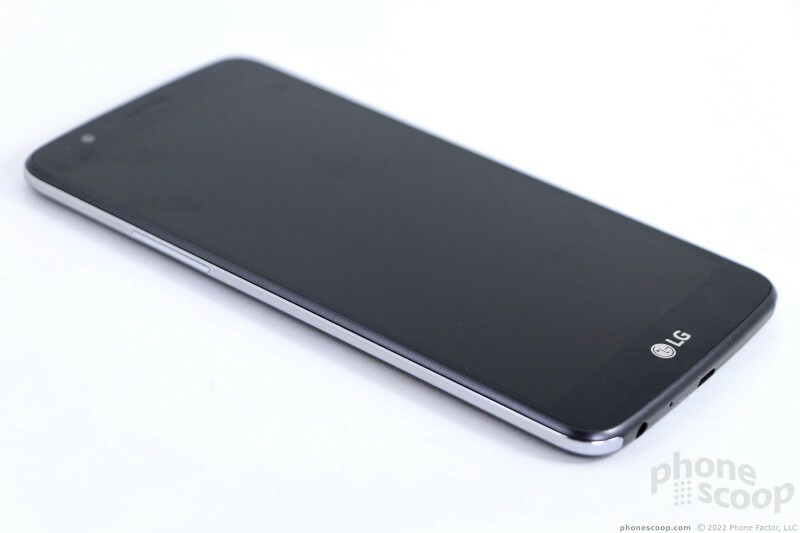 With the panel removed, you have full access to the battery and SIM/memory card slots. You can swap memory cards without removing the battery, but the battery has to go if you want to get at the SIM card. 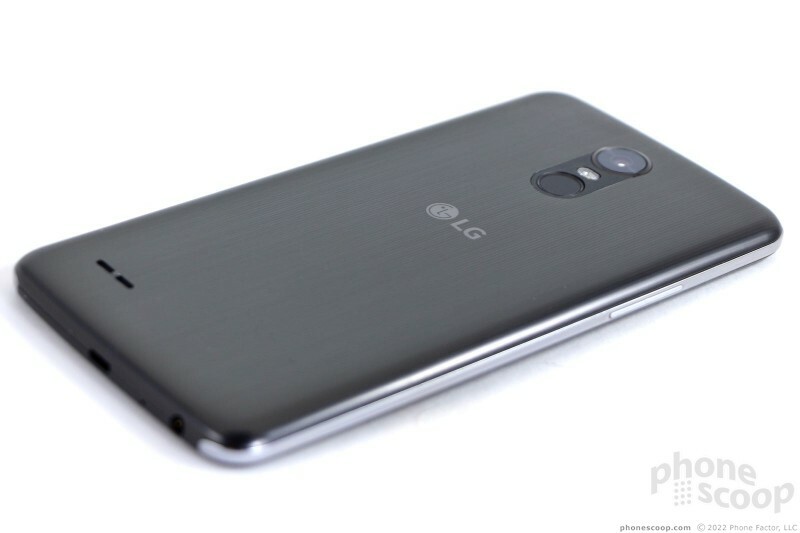 In sum, LG put together a solid piece of hardware in the Stylo 3. It won't be winning any design awards, and yet most people shopping for phones in this price range will be happy with their handset. The display is a direct carry-over from last year's model, which means the Stylo 3 has a 5.7-inch LCD screen with 1280 by 720 pixels. It qualifies as HD, but the large size means those pixels are spread out. It's not the sharpest screen I've seen. 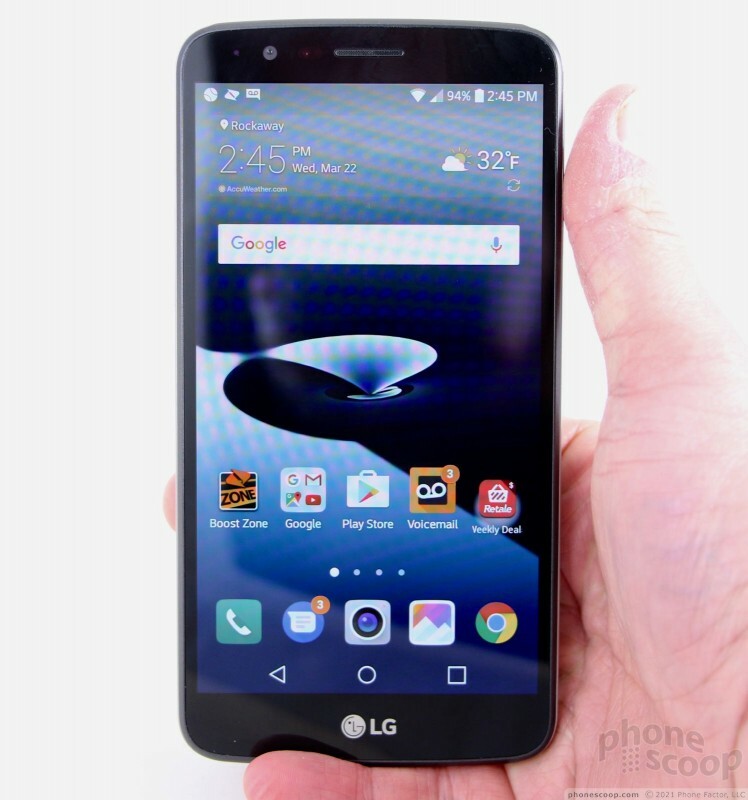 It would have been nice to see LG upgrade the phone to full HD, but I understand that would have added significantly to the phone's cost. Colors are accurate on the LCD panel, but viewing angles aren't great. Last, the display is very reflective, more so than other phones I have on my desk, which makes it hard to see outdoors even when the brightness is set all the way up. Boost Mobile operates on Sprint's LTE network and the Stylo 3 supports all of Sprint's major LTE bands. Moreover, the Stylo 3 supports 2 by 20 MHz carrier aggregation, which should translate to good data speeds. Even so, the phone performed on par with other Boost phones I've tested over the course of the last year. It doesn't match the performance of Sprint-branded handsets. The phone was able to connect to the network everywhere I took it in the northern parts of New Jersey. It connected the majority of calls on the first dial, even under weak network conditions, and didn't drop any calls even when traveling at highway speeds. The phone may support Cat 6 LTE, but I wasn't impressed with data speeds. It certainly suffices for everyday activities, such as Facebook, Instagram, email, and browsing the web. I experienced a few blips when streaming music and video over the network, however, that give me a little cause for concern. Call quality is a story of Dr. Jekyll and Mr. Hyde. The earpiece produces excellent voice calls. Clarity is fantastic, voices sound warm and present, and the phone pushes plenty of volume so calls can be heard in nearly any environment. I was able to hear and understand calls in quiet and loud spaces alike. I sounded "just ok" to others. The speakerphone is an entirely different story. Clarity is barely acceptable at “low” to “mid” volumes, but the sound is barely audible. If you push the volume past the 60% mark, the speaker distorts horribly. Calls are completely unintelligible with the volume all the way up, you can't understand them at all. The speakerphone is workable in a very quiet room, but not anywhere else. Ringers and alerts are loud enough to get your attention most of the time, but because they rely on the same speaker as the speakerphone, they sound like garbage. The vibrate alert is nice and strong. The LG Stylo 3 excels when it comes to battery life. 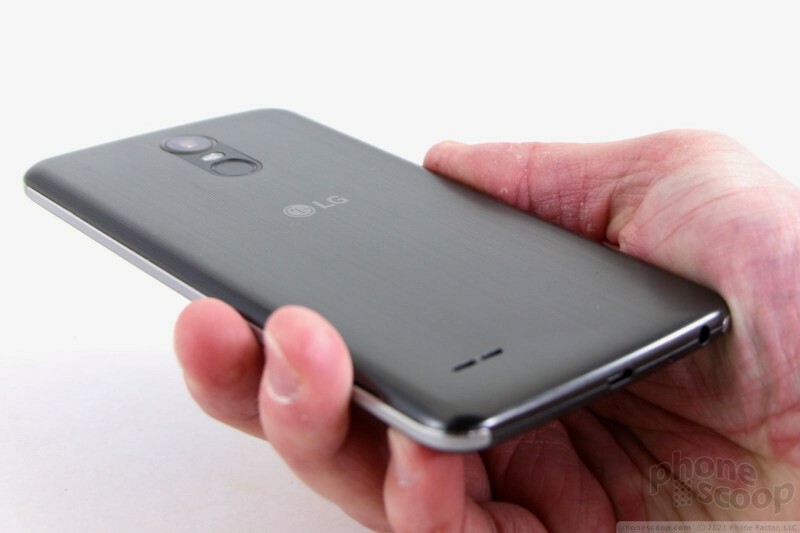 The phone packs a 3,200 mAh battery, which delivers well more than a single day per charge. 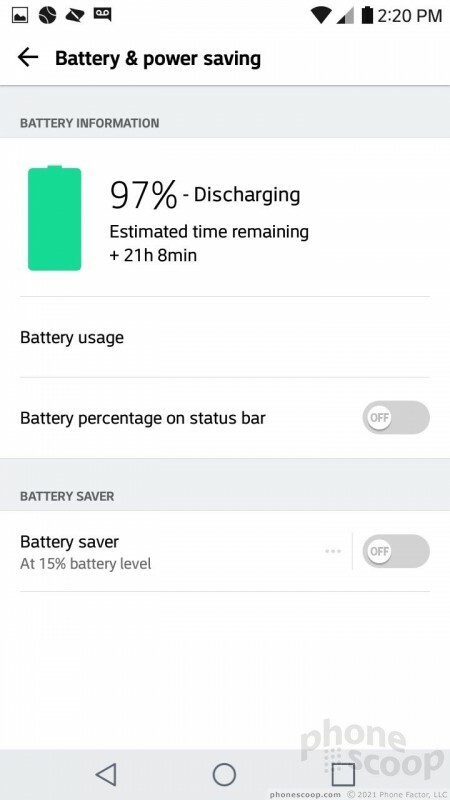 I had a hard time killing off the battery over several days of intensive testing. 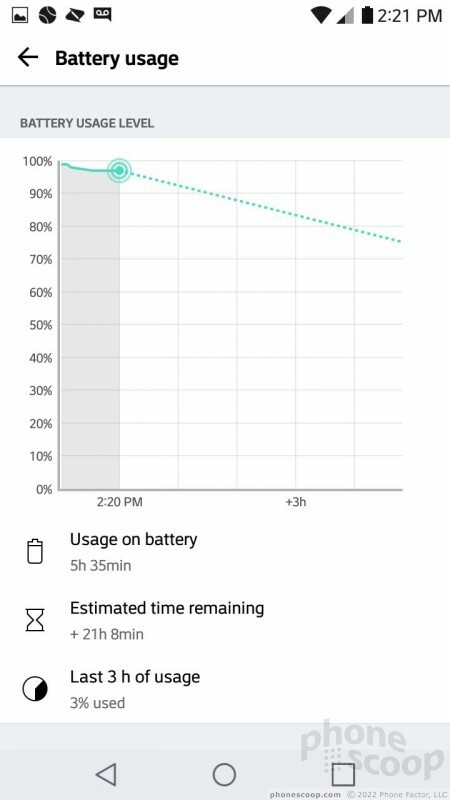 The phone consistently had 30% or more capacity left at the end of the day, even when used with the screen brightness all the way up. Casual users will likely get up to a day and a half per charge from the Stylo 3. 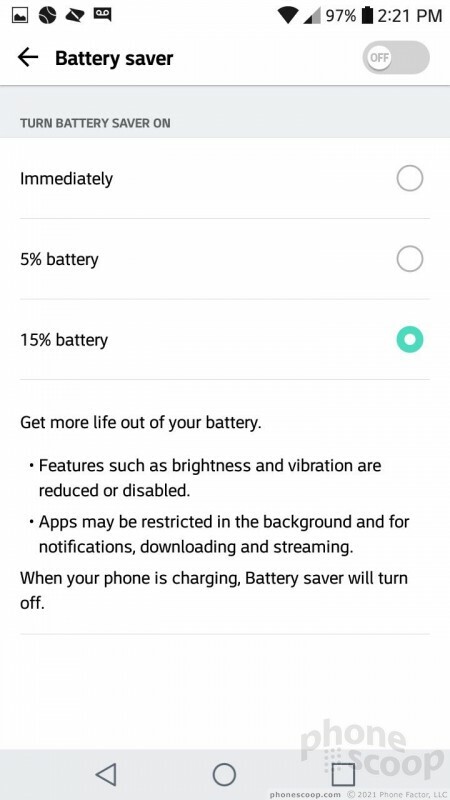 The Stylo 3 has the basic Android power saver mode, which kicks on when the battery reaches 15%. When turned on, this automatically dims the screen, throttles down the processor, and cancels vibrate alerts. Thanks to decent battery life, I didn't need this tool while I reviewed the phone. The phone doesn't seem to support any sort of rapid charging. I found it took several hours to power up with the included charger. The Stylo 3's secondary radios all functioned properly. Bluetooth was a cinch to use. I made several calls via my car's hands-free system and they sounded so-so. Music had a rich sound when passed through a good Bluetooth speaker, but I've heard better. The phone had no issue connecting to other phones, accessories, and PCs. Google Maps and the Stylo 3's GPS radio were bosom buddies. The phone located me within seconds and was accurate to about 10 feet. That's excellent. Real-time navigation between points worked flawlessly. The WiFi worked just fine. The Stylo 3 doesn't have NFC.